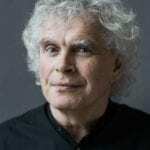 This week sees Sir Simon Rattle take the helm of the Vienna Philharmonic Orchestra in three exciting concerts at the Vienna Konzerthaus and Musikverein. The performances feature music by Janacek and Mahler with Magdalena Kozena and Simon Keenlyside. 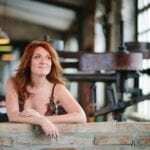 Janacek’s popular opera ‘The Cunning Little Vixen’ is showcased with the two final scenes and the second half of the concert sees the mighty Vienna Philharmonic Orchestra take on Maher’s ‘Das Lied von der Erde’. Joining them for the Mahler is Magdalena Kozena and renowned tenor, Michael Schade, who come together again to recapture their wonderful sold out performance of the Mahler at the 2011 Aldeburgh Festival with the City of Birmingham Symphony Orchestra. 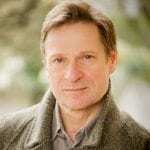 The Janacek excerpts display the talents of all the artists, with the predominant role of the Forester, performed by Simon Keenlyside. A big star in Vienna, Simon Keenlyside enjoyed a sold out Liederabend with Graham Johnson at the Vienna Konzerthaus on Saturday 7 December and enjoys these final performances of the year.